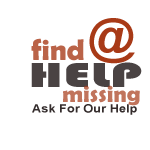 Get Help Finding A Missing Page or File - Outsource Management Group, LLC. Couldn’t Find A Page Or File On The Website? We want to help you find it. We are continually changing the look and feel of the website, so it is possible that the page was deleted, re-named or moved from it’s original location. Please fill in the form below and we will do everything we can to assist you in finding the current location of the file. Please explain as much as you can about the page or file that you’re trying to find and we will do everything we can to assist you in finding it. This form is sent directly to our internet operations team who are available to assist you during our regular business hours Monday – Friday. We will look into the matter and respond to you via email as soon as possible.